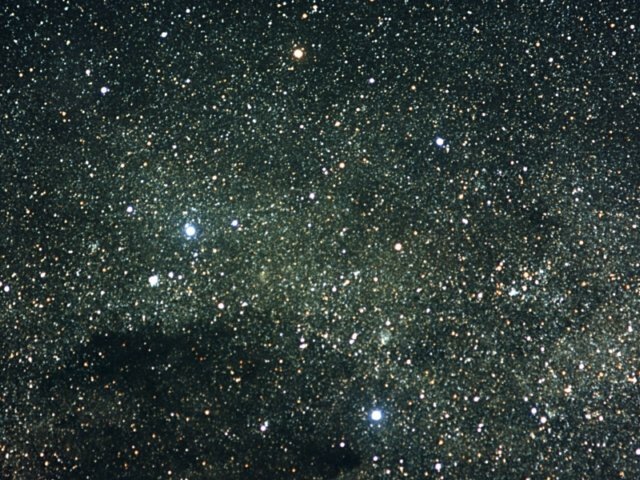 Also known as "The Southern Cross" which is depicted on the Australian & New Zealand national flags. The smallest of the 88 constellations which contains many fasinating objects of interest. Taken with the Pentax 10cm astrograph @ f/4, piggy-backed on the C-14. Photo by Steven Williams using Kodak Gold III 400 film, 30 minutes exposure.